UPDATE: ToyWiz Inc. must have gotten quite a few orders from redirects from our blog for the SDCC DuckTales set when it was priced at $39.99. They have raised their SDCC preorder pickup price to $44.99. Last week, it was revealed that a PhatMojo set of DuckTales figures (Scrooge McDuck, Webby, Huey, Dewey, and Louie) in a gold variant paint job and a limited edition of 1000 would be available at SDCC for $29.99. People offering preorder pickups of the figure set started to appear on eBay at insane markup prices ranging from $68.88 to $87. Two of the eBay auctions sold with the best deal being $69.99 with free shipping. ToyWiz Inc. has listed a pickup of the SDCC limited edition PhatMojo set for $39.99 which is way less than anything that we have seen on eBay. You can also use a promo code TWSAVENOW to save an additional 5% ($2.00) which will make your total before tax and shipping $38. An $8 markup is not that bad considering you would not have to wait in line at the convention for the item or have to ask someone to pick one up for you. Anyone thinking of picking up this set? 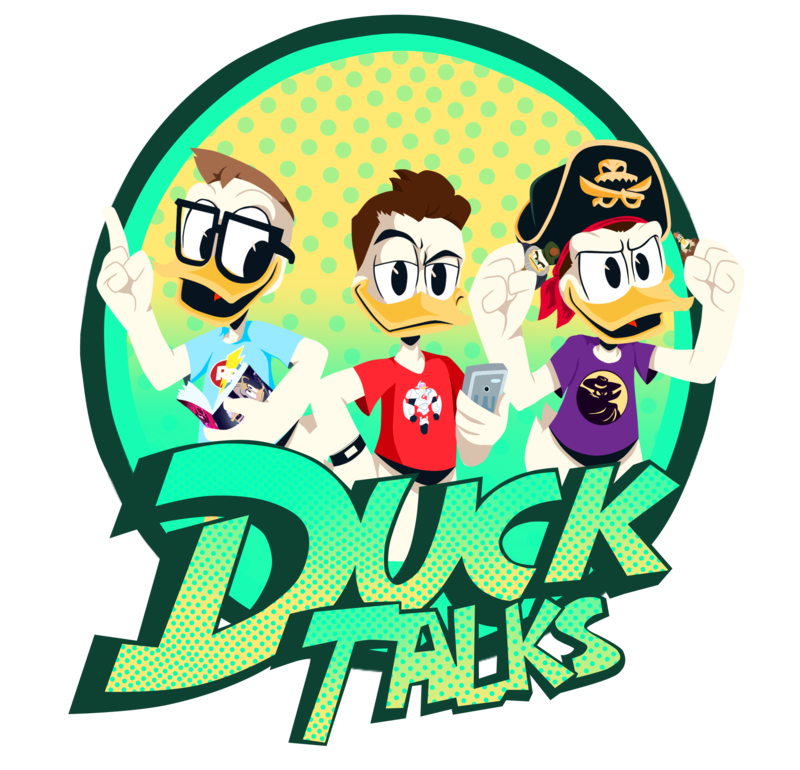 Let us know on Twitter @DuckTalks if you are all in or on the fence about this exclusive set. Previous DuckTales Quacktastic Fan Art! Next More DuckTales Merch Found on Zazzle.com! Do you guys know why the Company is listed as UCC Distributing Inc. and not PhatMojo? I’m worried that these toys aren’t going to make it to Target after all. They Toyfair pics looked amazing too. PhatMojo does not have a booth at SDCC to our knowledge so that may be why they are being sold at the UCC booth. The gold variants will only be sold at SDCC, and I am told by our contacts at PhatMojo that their DuckTales products should be arriving at Target stores around mid July. Great to hear! I just recently stumbled upon your site and it is outstanding! I didn’t even know about the 10″ Scrooge Pop at Target and the tips from your blog helped me acquire it that day! A million McThanks! Thanks for finding us. I am glad you were able to find the 10 inch Scrooge POP. It is a must have POP. Spread the good word about us as the DuckMerch is going to continue to flow in.